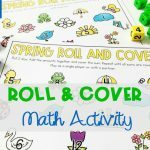 FREE Printable Find and Color Garden Digraph Activity for Kindergarten! 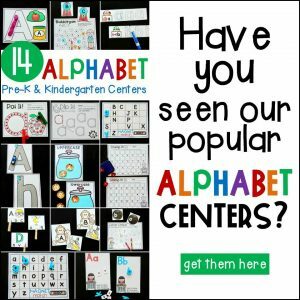 Are your students in need of practicing their digraphs? 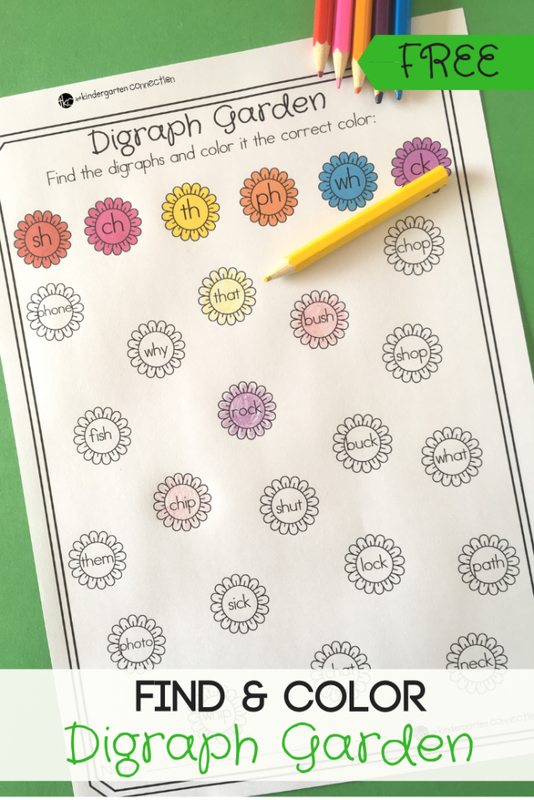 Use this Find and Color Garden Digraph Activity for your spring themed literacy center to bring color to learning digraphs! When students are familiar with the alphabet letters and their sounds and blends like “sl”, “br” etc., you can introduce digraphs. 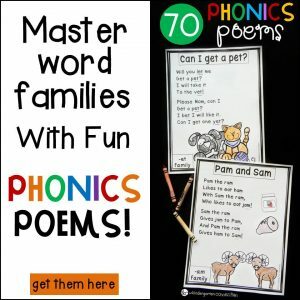 Digraphs are 2 letters that are pronounced together to form a unique sound. It is best to teach the digraphs as a unit because it is the sound we hear in a word. 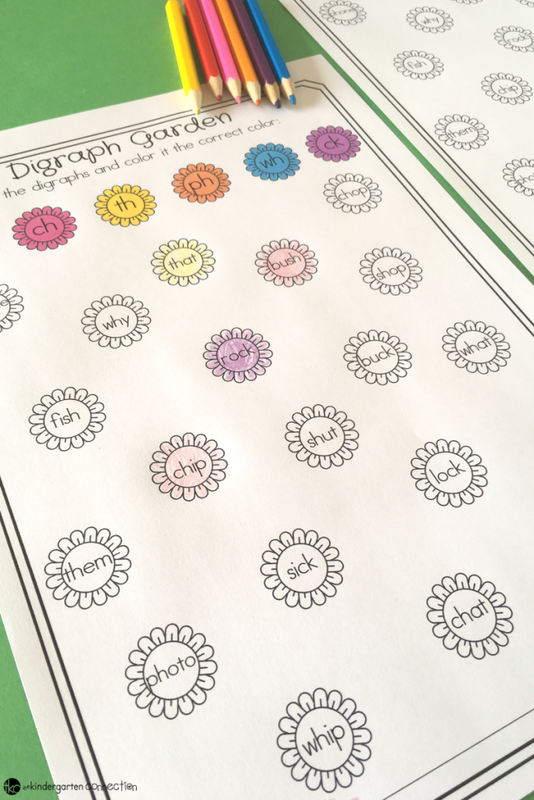 This printable activity is great for revision of digraphs after you have introduced them individually. 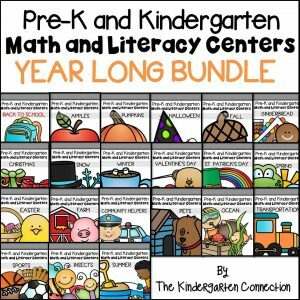 This is a great independent activity for a literacy center. It also develops fine motor muscles when picking up the tiny buttons, beads or pompoms and adding it to the flowers. Provide a tweezer to pick up the items as an extra challenge. 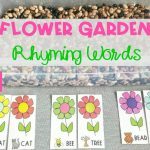 Find the digraphs and color the flowers with markers or crayons to fill your garden! 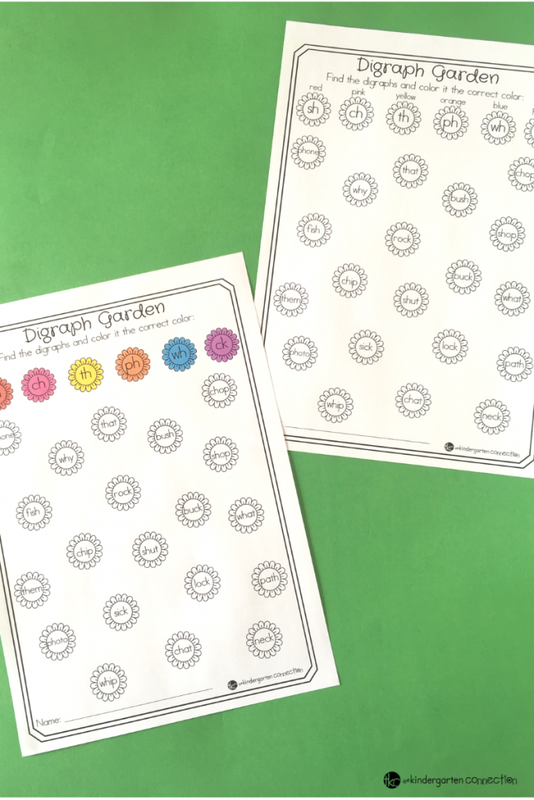 Make the garden digraph printable reusable. 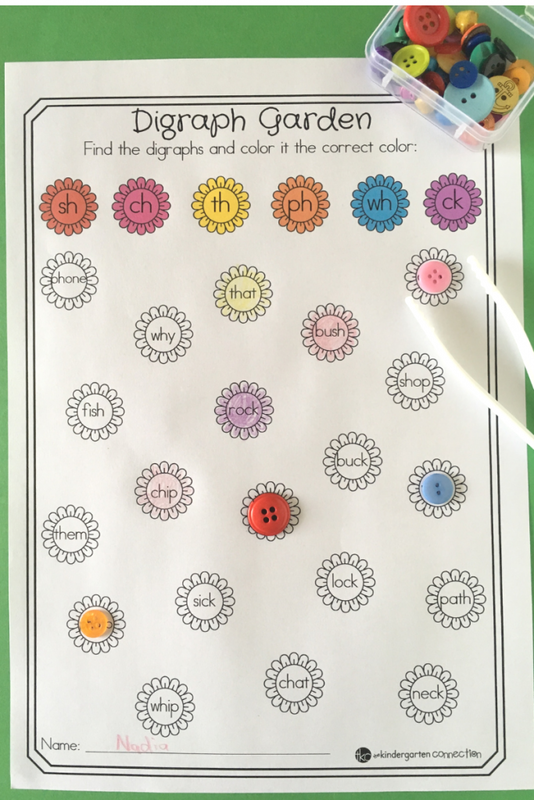 Laminate the colored version, then provide red, pink, yellow, orange, blue and purple buttons, beads or mini pom poms for the students to place in the middle of the correct digraph flower. Digraphs covered here are “sh”, “ch”, “th”, “ph”, “wh”, “ck”. It is the most common digraphs we come across. The printable is available in color or black & white! Are you ready to start practicing digraphs with your students? 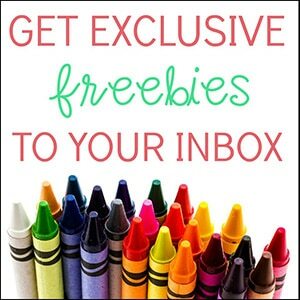 Then, click on the large, yellow button below! 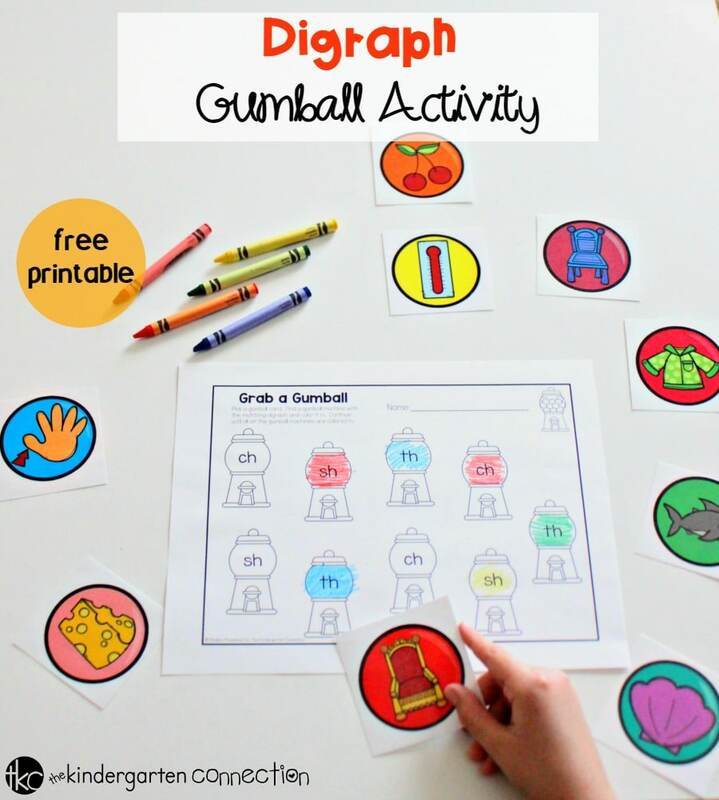 Then, hop on over to see our Gumball Matching Digraph Activity!